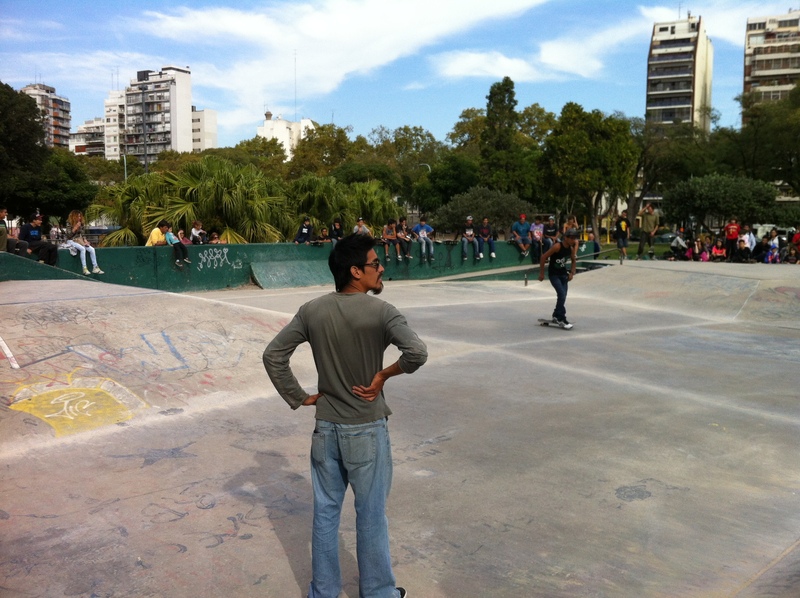 Last Sunday Jesse and I grabbed some empanadas and our mate paraphernalia and checked out a new park close to our house, el Parque del Centenario. I realized though that I didn’t get any pictures of the actual park. Sorry. 😦 Next time, and there most definitely will be a next time, even if the weather is getting chilly. The park is pretty big with a large lake with fountains in the center. 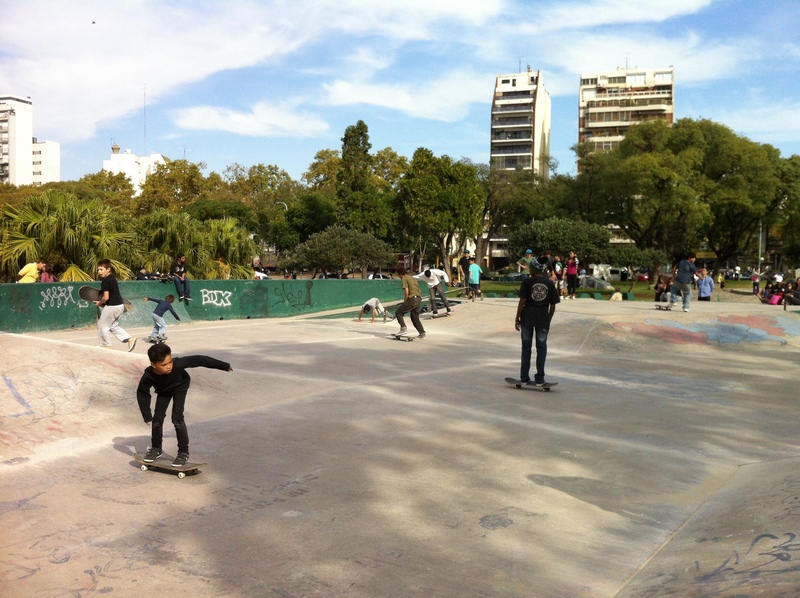 It is frequented by more locals than the Bosques de Palermo. Rather, not more locals, but less tourists. There were families and dogs and lots of activity going on all around. 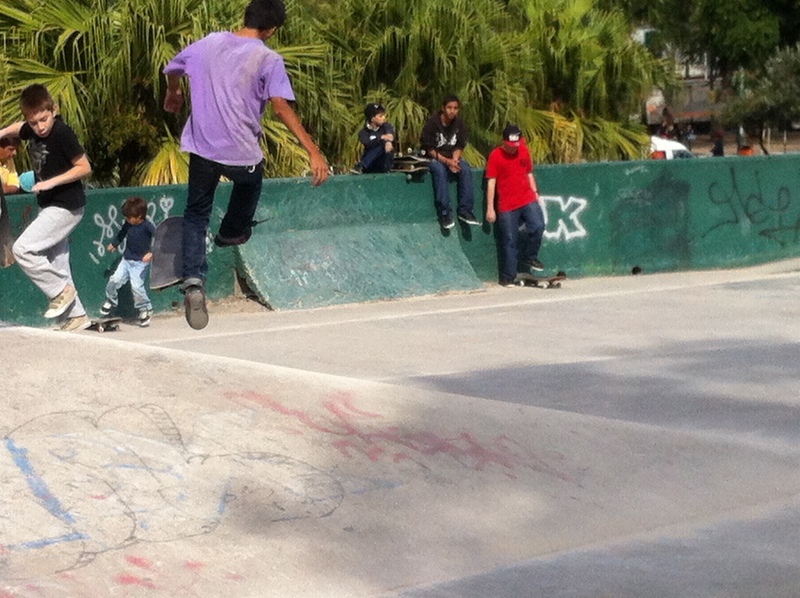 A couple playgrounds, a carousel, rentable power wheels (Jesse and I were a little jealous), a large flea market with some food vendors, a skateboarding competition, and a performance by a woman to benefit the inundaciones in La Plata. Fun for the whole family. When we first got there, we set up camp in a little grassy area and had a little picnic and then went on a mini tour of the park. 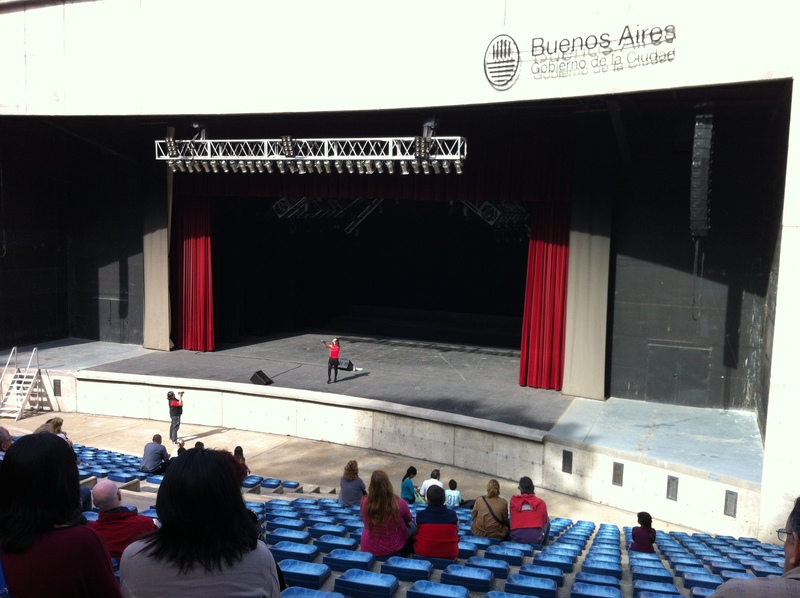 You could hear the music – a mix of Broadway, Opera, and Argentine – all around the park. She was really quite good. But as you can see, the stage was a little bare. I felt kind of bad for her. 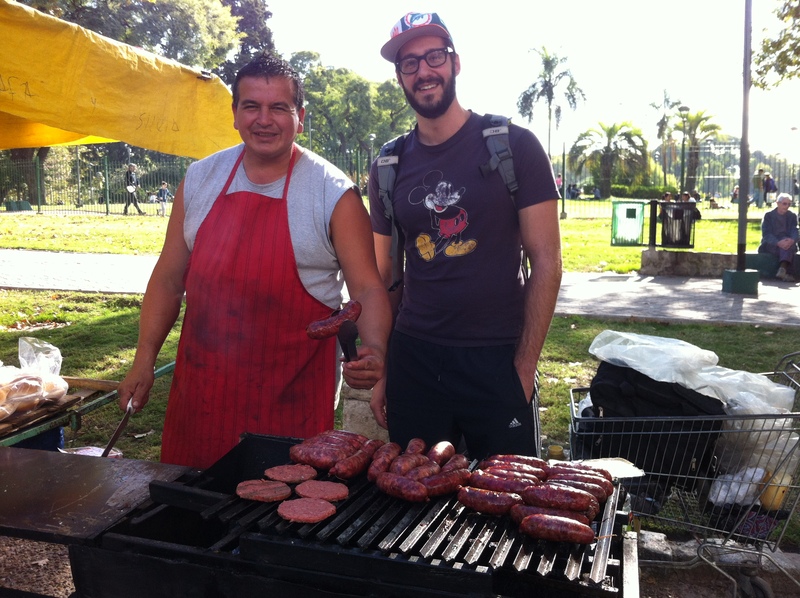 Jesse got a choripan from this guy. He was quite the comic and insisted we print him a picture and bring it back to him. The “judge” of the skateboarding competition. 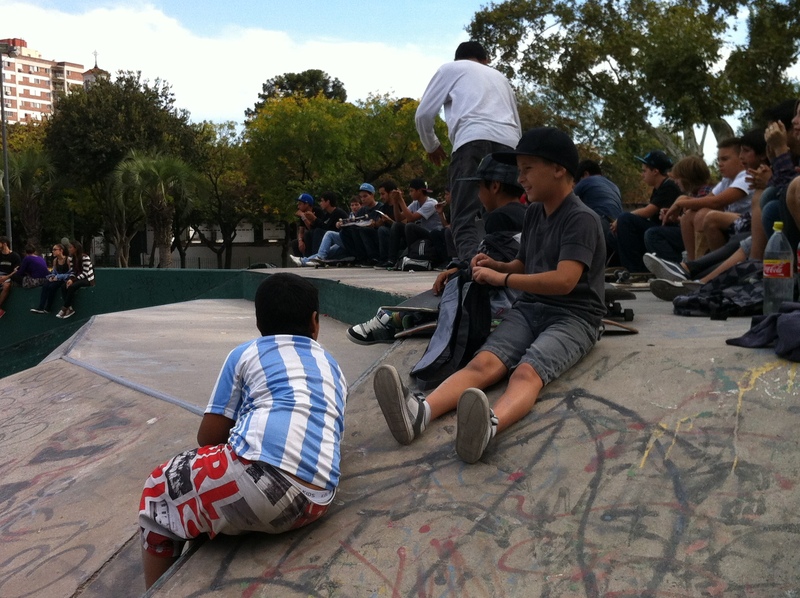 There were at least 50 kids waiting for the competition to end so they could get on their boards and try some tricks. 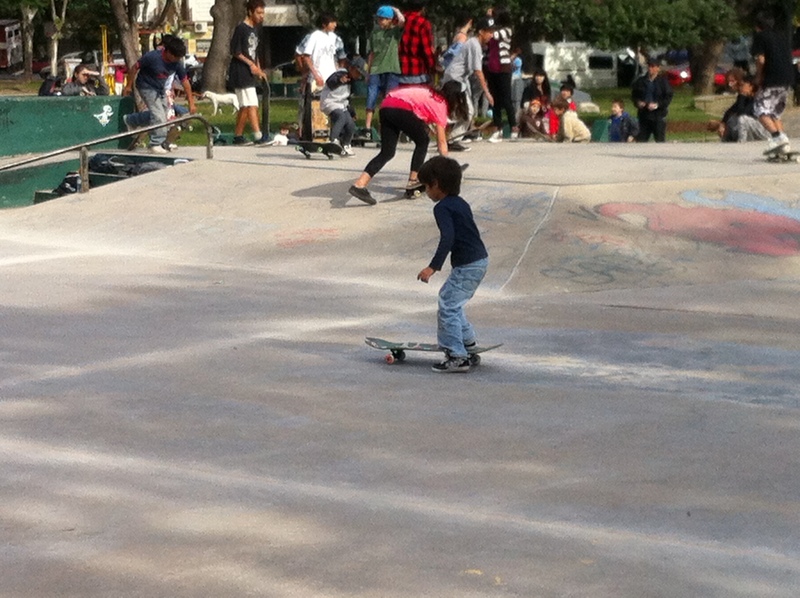 Little guy was cruising all around the skate park, not giving one care to the much larger skaters whizzing by him. It was a great day. 🙂 I think when we come back to the States we need to enact Sunday park days just to chill.